TL;DR Customer advocacy is going to play an increasingly important role in how B2B companies do business in the future. 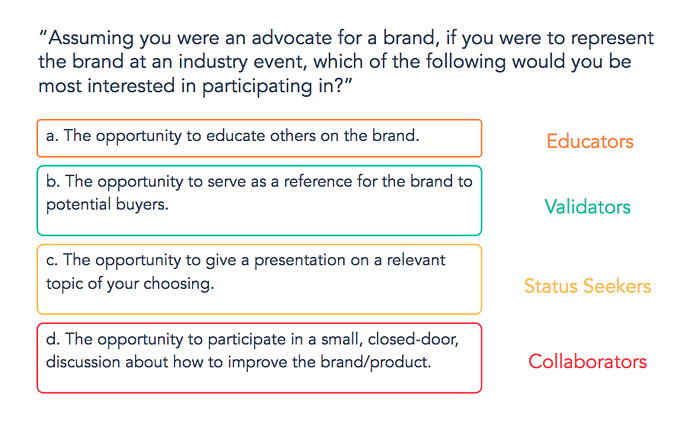 External research suggests that there are four basic advocacy personality types that companies should align their advocacy programs behind. Internal research supports the existence of these personality types and their usability in predicting advocacy behavior/motivations. So... What Will Customer Advocacy Look Like in Three Years? What motivates a customer to take an advocacy action? This question grows more and more important as the buying process grows more customer-centric. 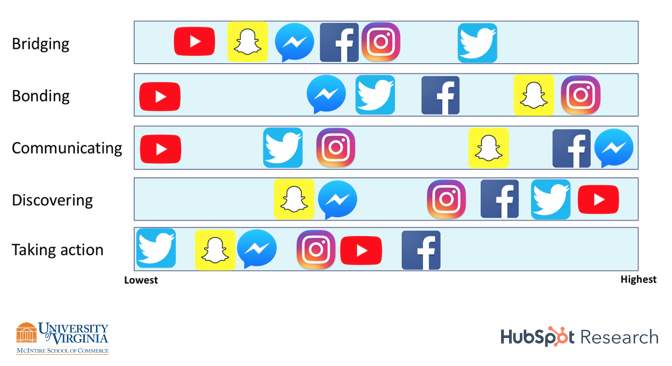 But the truth is that there are so many advocacy actions customers can take, and in so many different contexts they can take them, that an equally important question to consider is this: what will customer advocacy look like in 3 years? So, that's the question I'm going to tackle today using three primary sources of information: external reports and research I have consumed, two advocacy surveys I conducted, and my own experiences working on the customer marketing team here at HubSpot. It seems rather obvious that a customer advocacy program should be customer focused (I mean it's literally in the title), but a surprising amount of companies get this wrong. Rather than working on cultivating interactions that drive value for their advocates, most advocacy programs try to harvest customer generosity, with little success. The way you think about why a customer would participate in an advocacy program should align with the way you think about why a prospect would buy your product/service: they would never buy it if they didn't believe that they were going to get more out of it than they put in. It's the exact same for a customer advocacy program: customers should feel they are getting much more out of the advocacy program than they are putting in. But how can you actually do this? How can you drive value for your advocates? 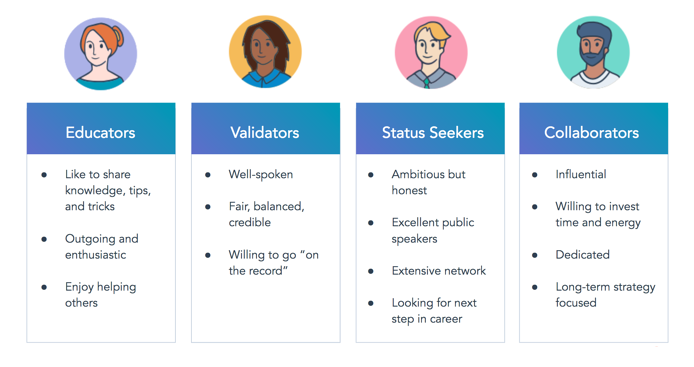 The key is not looking at success within the product, or even success based on how many advocacy actions they have taken, but instead by looking at success as determined by the customer based on their own intrinsic motivations. 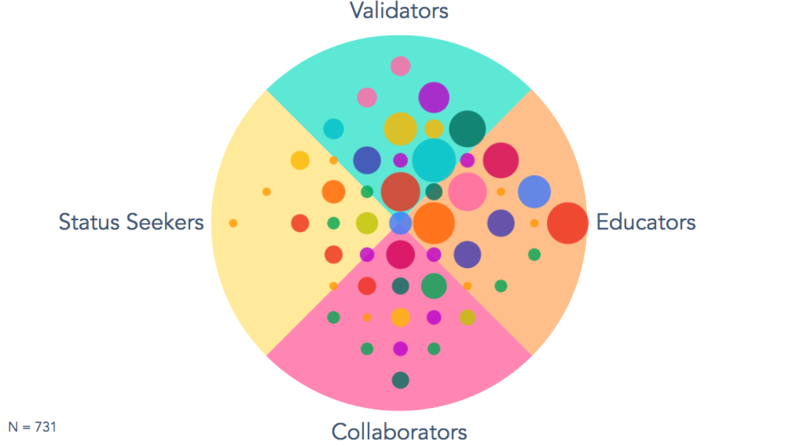 And the key to tapping into these intrinsic motivations lies in personalization. Now personalization can be a touchy subject - it's tough to do well, challenging to accomplish with limited data, and can be tricky to scale. Well, I am here to tell you that when it comes to advocacy, personalization can in fact be done well, with limited data, and at scale through the use of the four advocate personalities. Advocate personalities help you know which content and opportunities are appropriate to give to each advocate. Advocate personalities help you know which advocacy requests are appropriate to make of which customers. So, in theory, advocate personalities can be a helpful tool for creating an epic advocacy program, but they aren't worth anything if they are difficult to determine or if they can't actually be leveraged to predict behaviors. As such, I decided to put them to the test. I wanted to find out how easy it might be to determine what personality a given advocate falls into. Could it be done, say, with just five short questions? So that's what I did: I conducted a survey with 731 participants and asked the respondents to imagine themselves partaking in a fictional advocacy community. Each of the questions had one answer that correlated with a given advocacy personality. I was then able to assign four scores of 0-5 to every participant - one for each personality type. 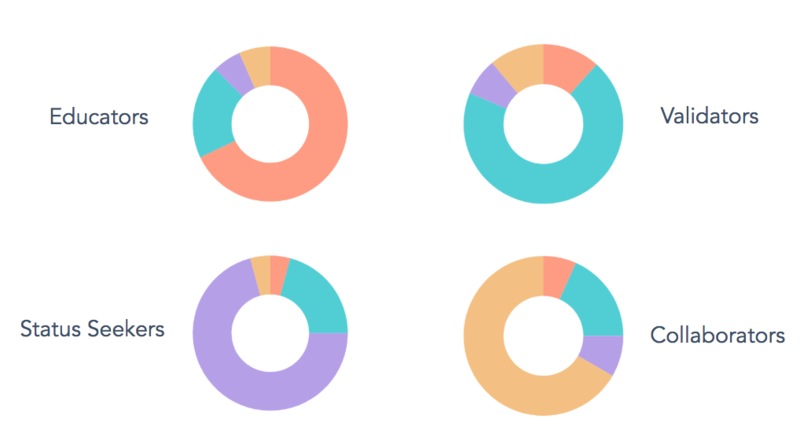 I then plotted the responses for all the participants on the graphic shown below; the sizes of the circles indicate how many users had a given set of scores, and the colors do not mean anything. As you can see, the majority of the respondents fell within the Educator and Validator quarters of the plot, with a great deal falling right along the line between the two personalities. So, we are able to fairly accurately determine someone's personality type (or types) based on these five simple questions - if the scoring system had not worked, we would expect all the respondents to be in the center of the plot or to see little variation. If a brand were to express their gratitude for your participation in their advocacy community, which of the following would you appreciate most? The answers weren't intended to correlate with a given personality type as the previous questions had, rather, I simply wanted to see if any trends presented themselves. When we look at all respondents, we see that the majority of respondents would value a small cash or gift or incentive as their reward. This isn't too surprising; cash tends to be a big motivator for most people. But, where it gets really interesting is when we parse out the desired gifts by personality type. Now would you look at that? Actionable personalization can not only be performed with a small amount of data and at scale, but it can enable you to serve your customers better. With just five short questions, we can predict with a high degree of accuracy what kind of gift a given advocate would most value receiving. And the greatest part? This is just one example of how this information can be leveraged. Imagine all the ways this additional information could be used to better and more efficiently serve advocates!But how does this all fit into the broader vision? How does this help answer the question "What Will Customer Advocacy Look Like in 3 Years?" 1. Lean away from monetary rewards as the primary motivator. While monetary rewards can be a motivator to get people in the door, they should not be the point of being an advocate. What this does is create compliant behavior when your community should really be based upon self-directed behavior - when this occurs an advocacy community truly starts to drive value. In addition, most advocacy communities, on average, have very low redemption rates (9-24%), and less success is typically seen in point-based advocacy communities. 2. Lean into a lightweight, hyper-personalized experience for your advocates. A shift in focus away from monetary rewards as the primary motivator is likely to cause a great deal of advocates, who may only be there to get points and redeem gifts, to leave. However, losing these 'advocates' is absolutely okay: if these customers are only participating because they want gift cards, do you really want them in your community? But, if you are going to move away from gift cards and swag, how are you going to keep advocates engaged? Try heavily embracing personalization to create unique experiences for each and every advocate. 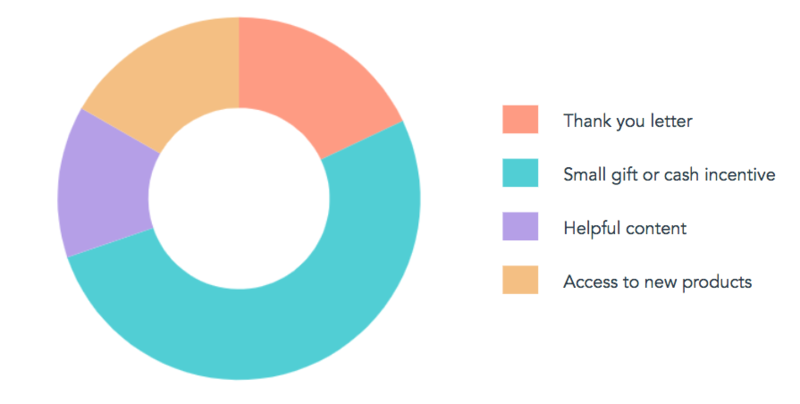 I see a future where new advocates take a short welcome survey when they join the program, and their responses on that survey guide how they progress through the program. With a smaller community and more data on the advocates within that community, a greater opportunity to run more small scale experiments with your advocates presents itself. You can then discover the best ways to engage your participants based on their different personalities. 3. Bring process and structure to your advocacy program. Most advocacy programs are run ad hoc with minimal resources. They also often end up disappointing the marketing/salespeople they are designed to assist as well as the advocates within the program. Studies have shown that it actually costs a company more to generate social proof, like references in an ad hoc fashion, rather than having a single team run them centrally. Business Goals: Of course, it’s important to set goals for what your organization is hoping to get out of your advocacy program: referrals, references, reviews, whatever it is. Advocacy Goals: The success your advocates see within the program. Is being a member of your community driving significant value to your advocates? Now here is the point of note: the advocacy goals should be your primary goals. Every report on B2B advocacy communities out there will tell you the same thing: the minute you start prioritizing your company goals over your advocates' goals you have already lost - you've ruined your chances at hitting both. This doesn't mean that you should just throw all your company goals for advocacy out the window, but it is important to track them in the context of how your customers are finding success in the program. If your advocates start to find value, trust that the references and referrals will come. 4. Centralize and standardize your advocacy efforts. Often times advocacy activities and behaviors are not considered such. I think that this can actually do both advocates and businesses alike a huge disservice. For example, you may have people referring leads through an additional affiliate or referral program that falls under acquisition, rather than directly into your advocacy efforts. Or maybe you have an excess of promoters on social media, but their voices also aren’t being included in the advocacy program. Whatever it is, acts of advocacy are often spread between multiple teams within the same business, and having these separate often leads to duplicative work and prevents advocates from reaching their full potential. This is truly a situation of 1 + 1 = 3, by bringing these efforts together they become more than they can be on their own. This can prevent over-communication with your advocates, better measure their advocacy actions, and better demonstrate the effectiveness of the program. 5. Layer on technology to better scale. The important note here is that you want to avoid molding your advocacy efforts to match whatever software is being used. Instead, finding a platform that allows for your advocacy program to scale your current efforts with flexibility. Getting forced into performing advocacy as prescribed by another organization, rather than how you prefer, should be avoided. So… What Will Customer Advocacy Look Like in 3 Years? Customer advocacy will be an active community of customers who are driven by their own intrinsic motivations to take actions that help themselves grow better while simultaneously helping the business they advocate for grow better. 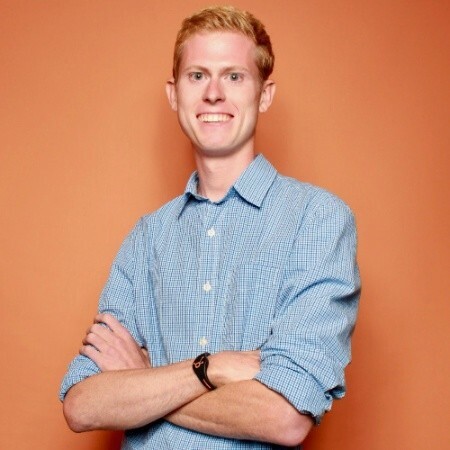 Carl is a Leadership Rotational Program candidate at HubSpot, where he works on the Customer Marketing team, managing customer reviews on third-party websites.